Grizzly was made by Sherry Sander in 2001. Montana-based artist Sander specializes in sculpting animals on her 300-acre ranch. 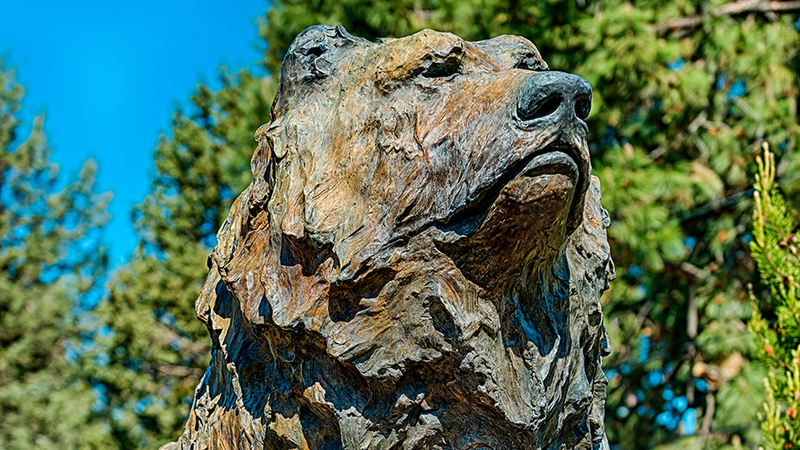 Grizzly is a massive bronze and its location close to Bend High School has lead it to be calld the “Lava Bear” in honor of Bend High’s mythical mascot. Locals have noted that the bear’s rump points roughly toward Bend high’s traditional crosstown rival, Mountain View High School. Mountain View’s cougar mascot does not have a comment.